As a society we are becoming more reactive than proactive with most things in life, especially when it comes to our health. Most people would rather fix a problem than prevent the problem from ever occurring. In the health profession, this looks like someone presenting with an acute flare-up of a chronic condition. It is these types of injuries that can easily be prevented or at least the severity reduced by simply exercising. The benefits of exercise are commonly known but we often ignore these facts and choose to live inactive lifestyles. There are a number of different excuses but the most common is not having enough time. However, by participating in regular physical activity, it is not only beneficial for injury management and prevention but also for overall health and function. How does regular exercise assist with injury management and prevention? Regular exercises are going to naturally incorporate some of the biomechanical or muscular deficiencies that your physiotherapist will prescribe for your particular injury. Take a sprained ankle as an example of an injury that can be easily managed and prevented with regular exercise. For this injury, a physiotherapist would want the individual to strengthen the muscles in their lower limb to provide more support to the ankle joint. In addition, this individual would suffer from laxity in the ankle ligaments. The physiotherapist would want to work on their proprioception in the joint to aid in increased awareness of the joint in space. A great way to achieve these outcomes is by regular running. The action of running strengthens the muscles in the lower limb and the different surfaces you run on will naturally increase the proprioception and balance of the joint. The first step is to determine which form of exercise is appropriate for you and your injury. The best place to start is by asking your physiotherapist what exercise would be appropriate for you and your situation. Otherwise, consider what exercises would target those structures involved in the injury. For example, someone suffering from a back injury would benefit from clinical Pilates and yoga to strengthen the back and stomach. Remember though, any form of exercise is better than nothing. Running – it’s free and the only thing you need is a good pair of runners. It is important to remember to start at your own fitness level – if you do not exercise regularly, start with a 5-10 minute jog and work up from there. 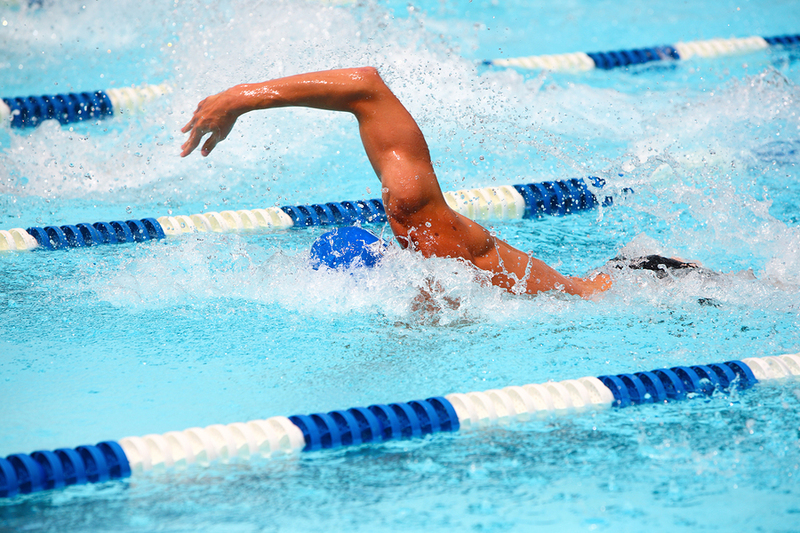 Swimming – it is low impact, meaning it will not hurt your joints as much as running. Clinical Pilates/Yoga – it is low impact and a great way to strengthen your core muscles and increase flexibility. Sport – it is social and an interactive way to stay fit and active. Walking – it is simple but an effective form of exercise for lower fitness levels. Everyone should aim to be physically active for 30 minutes a day, if not every second day. Participating in regular exercise is not only good for your overall health but it helps to reduce future injuries. We can spare the physical pain of an injury if everyone became more proactive rather then reactive with their injuries and health. For more advice on the most suitable exercise for you, book an appointment with Physiotherapist Andrew Neau at Langwarrin Sports Medicine Centre on 9789 1233 or book online.